But it was worth staying up late for the past several nights resulting in the addition of another 25 species to the checklist since June 4. The moth shown above, Pachysphinx modesta, is the latest addition and was made late last night. This is a large moth with a total body length between 45 and 65 mm and a wingspread almost twice that. When it flew by me towards the porch light I thought it was a bird. Pachysphinx modesta occurs over much of North America north of Mexico and can be found wherever the larval host plants poplars and cottonwoods (Populus spp.) and willows (Salix spp.) grow. The related Pachysphinx occidentalis is yellowish brown in the pale form and brownish-gray in the dark form. It can be told apart by the large area of red or pink coloration on the hindwings and by the dark lines that contrast with the background color of the forewings. 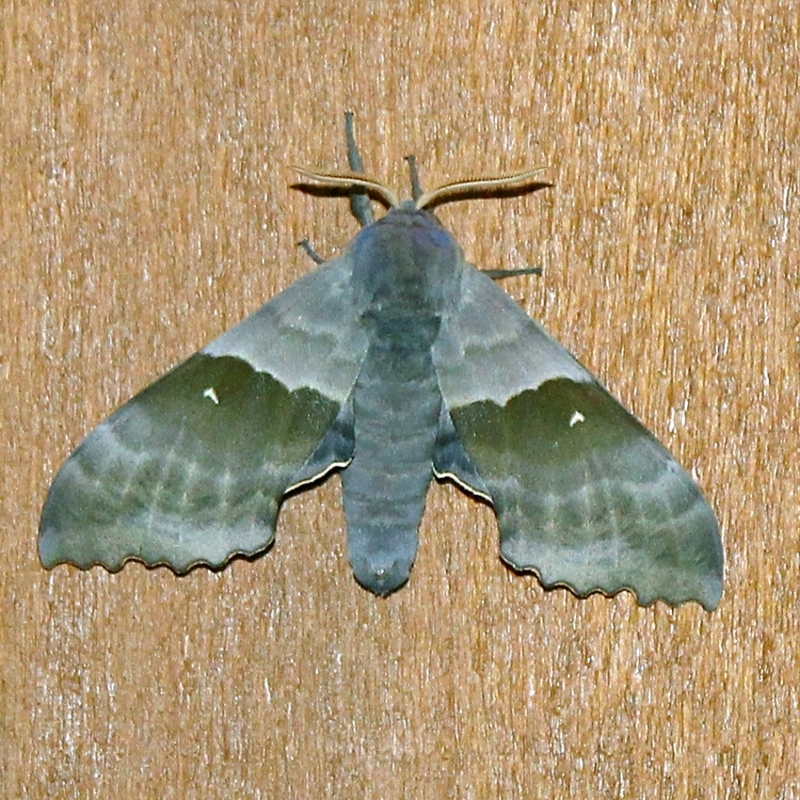 Pachysphinx modesta is greenish-gray, lines of the forewings do contrast with the background color, and the hindwings are greenish-gray with no red or pink. Species Pachysphinx modesta – Modest Sphinx – Hodges#7828 at the Bug Guide website. Species Pachysphinx occidentalis – Western Poplar Sphinx – Hodges#7829 at the Bug Guide website.